A recent post on Symantec’s security Blog revealed a very crucial piece of information about Stuxnet, The information should definitely stop who ever is denying the fact that Stuxnet is a state sponsored “sabotage-ware” targeting a very special someone. Symantec with the help of a Dutch Profibus expert can now prove that Stuxnet is looking for two specific Frequency converter drives one made by (Fararo Paya) of Iran and the other is (Vacon) of Finland. 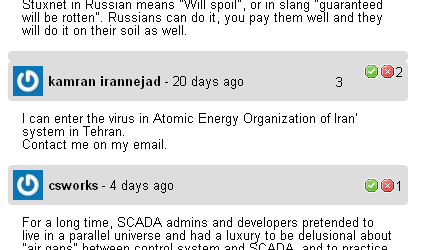 – We are now able to describe the purpose of all of Stuxnet’s code. – Stuxnet requires particular frequency converter drives from specific vendors, some of which may not be procurable in certain countries. ( In other words countries under international sanctions ). 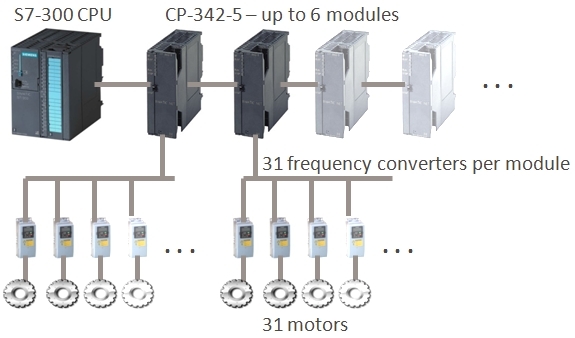 -While frequency converter drives are used in many industrial control applications, these speeds are used only in a limited number of applications. (Nuclear Applications is one of them). © Siemens AG 2010. All Rights Reserved. 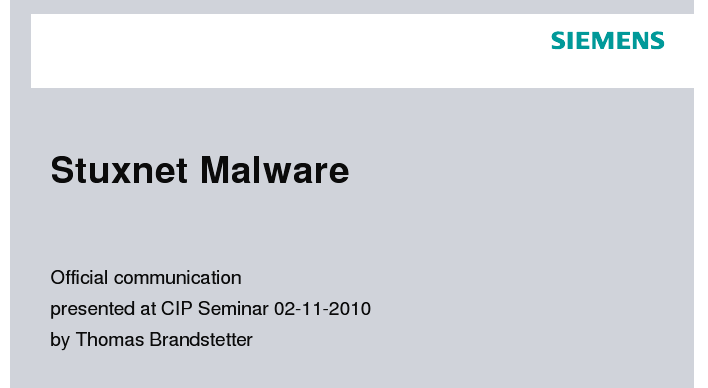 A couple of days ago Siemens Internal CERT released some slides about Stuxnet as a form of “Official Communication” within their constituents. In the official slides (Here) , Siemens confirmed that its a targeted attack by using terms like “targeting a very specific configuration, certain PLC blocks and specific processes or (project)“. These bold statements simply means that Stuxnet makers had (one target) in mind, and this should eliminate any theory out there denying that its a state sponsored malware. The slides confirmed that the malware is capable of transferring data outside of the infected system back to the command and control servers, yet nothing has been proven specially that the two C&C servers ( • www[.]mypremierfutbol[. ]com • www[.]todaysfutbol[. ]com ) were brought down by Symantec. Then the slides claim that all known infections are now clean and zero plant damages reported. yet they didn’t specify their definition of “damage”, is it seeing the plant up in flames or few bytes of data going out ? The slides go on listing the great deeds of siemens since the discovery of the malware : “white papers, cleaning tools, contacting customers, working with top AV vendors, even magazine interviews”. isn’t this what they are paid to do ? What really got on my nerves was their genius conclusion that future infections are “Unlikely” , and that is because the malware pattern is now detected by up to date Anti Virus programs. Eureka !! Yes, future “Stuxnet” infections might be unlikely, but this is certainly not the end of this type of attacks as long as top vendors like Siemens still use “Hard coded & publicly available” passwords on critical systems in the year 2010 and dont even admit that this is the REAL problem. Another statement that also reflects severe undermining of the terms “due diligence, and responsibility ” is a question they highlighted in yellow : “Has the customer done all he can ? “. Imagine a car manufacturing company that sold you a very expensive car, supposedly equipped with a seatbelt, then you run into an invisible wall that someone deliberately put in front of you and built it in a very special way, using specific materials that takes advantage of known and published weaknesses in your seatbelt buckle lock design. Imagine yourself sitting in the hospital wondering how on earth you gonna fix this messed-up face of yours, then the car makers dudes comes up and tell you that its partially your fault for not trying to do all you can, perhaps you could have tried holding the buckle with your teeth !